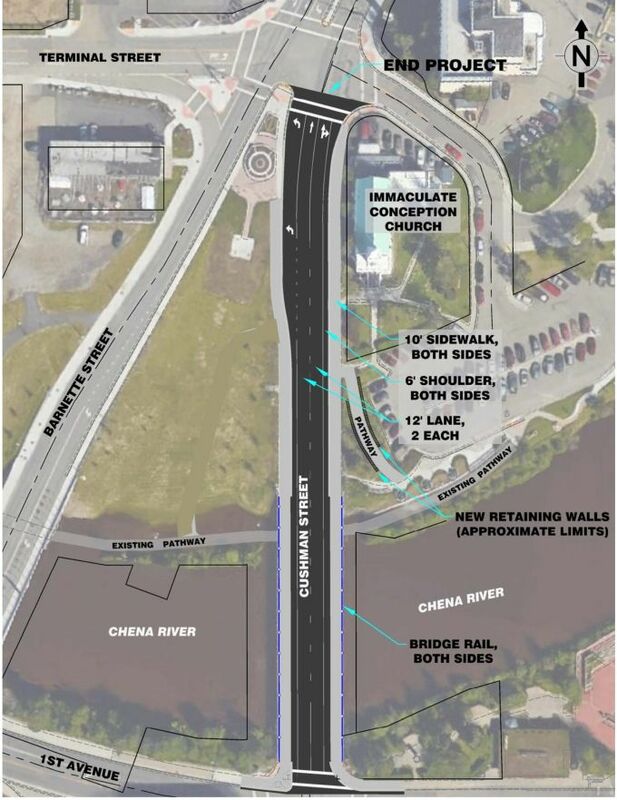 The Alaska Department of Transportation & Public Facilities (ADOT&PF), in cooperation with the Alaska Division of the Federal Highway Administration (FHWA), is proposing to upgrade Cushman Street between 1st Avenue and Terminal Street in Fairbanks, Alaska. The purpose of the proposed project is to improve safety for motorized and non-motorized users. This high-use pedestrian, tourist, and bicycle corridor is in need for improved accommodations for non-motorized users. In addition the existing bridge railing needs to be upgraded to meet current crash standards. Email Updates To sign up for updates or to access your subscriber preferences, please enter your email address below. To correspond by text telephone (TDD), call (907) 451-2363.